A crew t-shirt and Cap from the set of the 2012 Stephen Spielberg WWI equine drama War Horse. 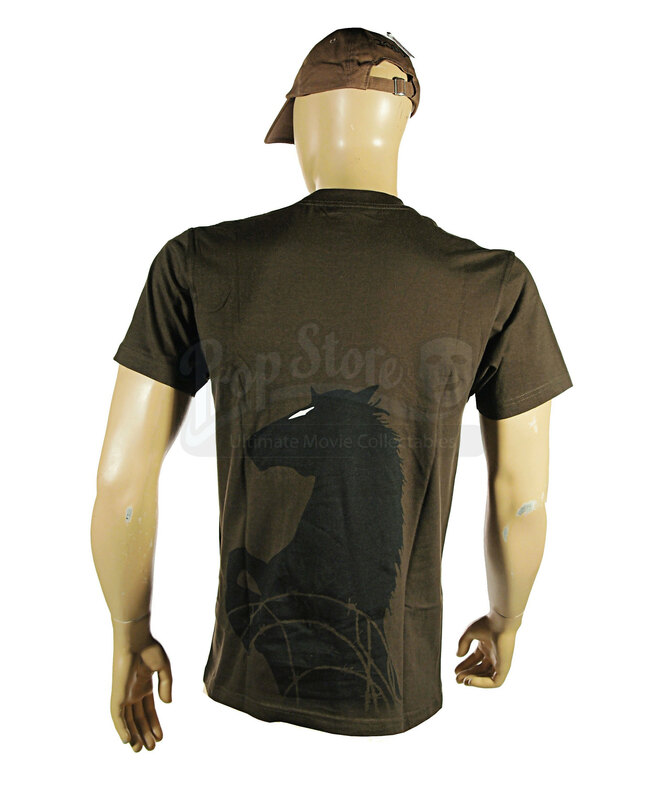 The simply brown short sleeved shirt has the title printed in white on the left breast above a length of barbed wire and “2010”, covering much of the back is a subtle black printed silhouette of Joey the horse rearing up over barbed wire with his distinctive white patch showing. 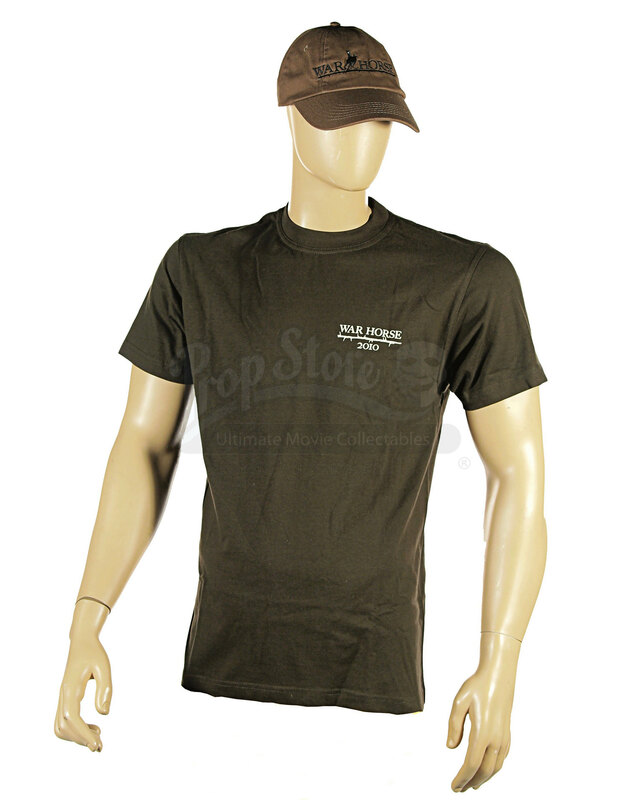 Sized as a Medium in a new and unworn condition. 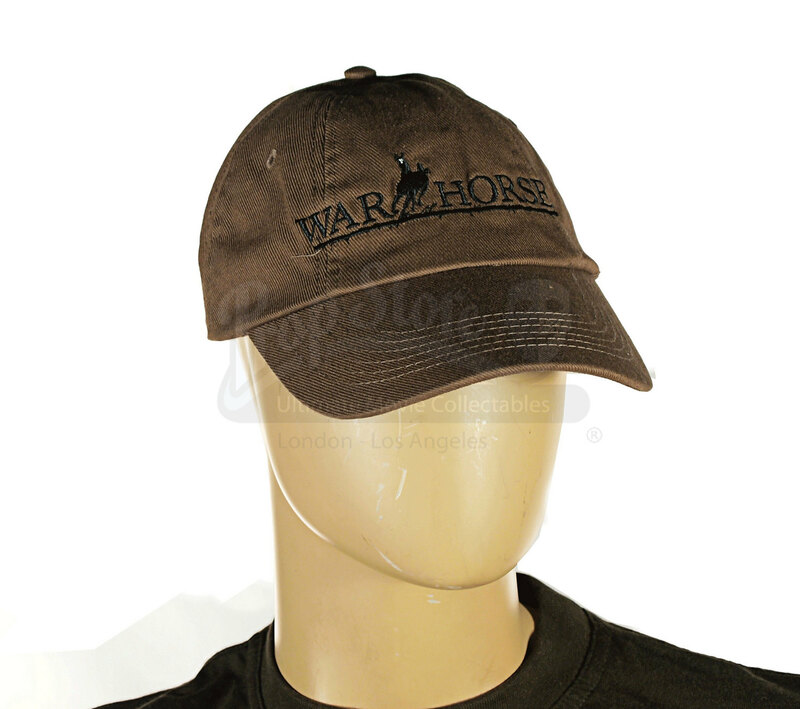 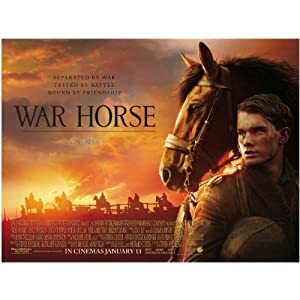 The brown baseball cap has the film's title embroidered in black across the front with Joey the horse with his distinctive white patch galloping forward between the words, and “2010” embroidered in black across the back. It is a fully adjustable 'one size fits all' in a new and unworn condition.